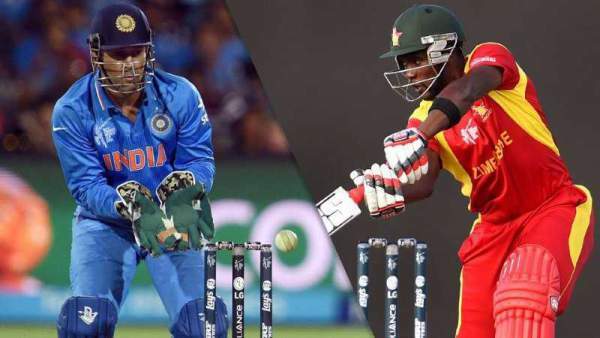 The first T20 game between Zimbabwe and India is scheduled to be played today, 18the June at 4:30 pm IST at the Harare Sports Club. After getting defeated in every single ODI, they are going play India once again in the shortest format of cricket starting from June 18. The players of the African nation failed to stand together at crucial times, and that’s the root of the problems why it failed at every point during the games. Not only the young players, but the experienced ones too failed. The highest scorer from them in ODI was Vusi Sibanda, who scored 96 runs only. And if compared to India’s top scorer, it reveals the enormous difference between their gameplays. The bowlers also failed to take wickets at regular intervals. They picked up just three wickets in the whole ODI series. Such a record is very shameful for a nation who is playing international matches. Chamunorwa Chibhabha, Mufudza, and Tinotenda Mustombodzi have been roped in the squad and probably will play against India, but the chances are small as the team played with their best in ODI and still lost. India also gave Zimbabwe to win as Indian cricket team is filled up with too many younsters. Some of them are uncapped and thus get a chance to showcase their talent. The young talent of India took the full advantage and impressed everyone. KL Rahul and Yuzvendra Chahal became the savior for team India as they stood up and presented remarkable performances. Many players had been the consistent ones during the IPL 2016 which has helped them to gain the winning momentum soon. The young talent did wonders in the last game and didn’t lose control of the match. Indian captain MS Dhoni wasn’t able to score because it didn’t get to play in the last few games. The youngsters handled everything with ease and a little guidance. Let’s now check the expected (probably) playing xi squad for the first two games. IND vs ZIM 1st T20 starts at 12 pm BST. There will no live telecast in the UK while the same match will be available on Ten 1 HD and Ten 3 in India while TenSports.com, starsports.com, hot star, etc. can be utilized for watching ZIM v IND live online. Squad: Graeme Cremer (c), Brian Chari, Tendai Chatara, Chamu Chibhabha, Elton Chigumbura, Neville Madziva, Timycen Maruma, Hamilton Masakadza, Wellington Masakadza, Peter Moor, Tapiwa Mufudza, Tinotenda Mutombodzi, Richmond Mutumbami (wk), Taurai Muzarabani, Vusi Sibanda, Sikandar Raza, Donald Tiripano, Malcolm Waller. Squad: MS Dhoni (c & wk), Jasprit Bumrah, Yuzvendra Chahal, Rishi Dhawan, Faiz Fazal, Kedhar Jadhav, Dhawal Kulkarni, Mandeep Singh, Karun Nair, Manish Pandey, Axar Patel, Lokesh Rahul, Ambati Rayudu, Barinder Sran, Jaydev Unadkat, Jayant Yadav. Hope you got info regarding India vs Zimbabwe live score live cricket streaming, match result, highlights, full scorecard, ball by ball updates, commentary, etc. Stay tuned.